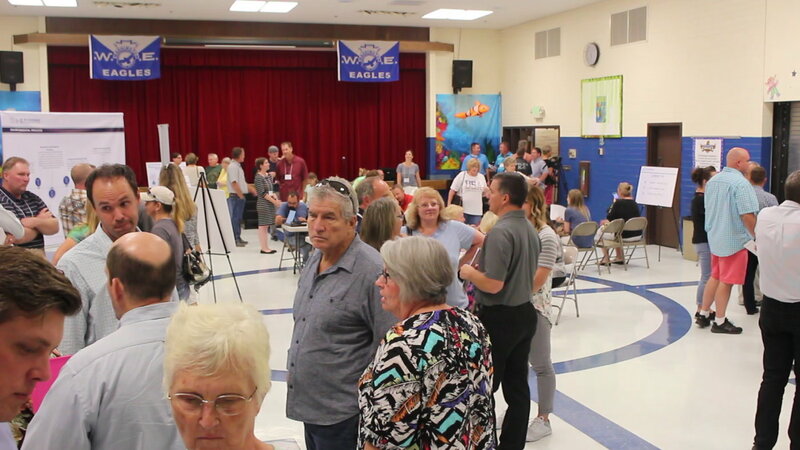 WASHINGTON CITY – Concerned and curious residents gathered at Washington Elementary for a public scoping meeting Tuesday to learn more about a study that will ultimately make recommendations to city officials on how to plan for future transportation issues. However, downtown residents already have voiced strong opposition toward a potential recommendation that would create a highway interchange between the Green Springs/Exit 10 and Washington Parkway/Exit 13 interchanges on Interstate 15. “Obviously, this is a huge concern for the community,” Washington City resident Daniel Cluff said at the scoping meeting. Like other concerned citizens, Cluff, who is also a City Council candidate, has appeared before the council to speak against the idea of an interchange cutting into the heart of the city from I-15. The interchange would be built to relieve congestion at the infamous Green Springs/Exit 10 interchange. However, area residents say they fear it will destroy the character of the area, decimate property values, create traffic hazards and potentially lead to the loss of homes due to right-of-way issues. 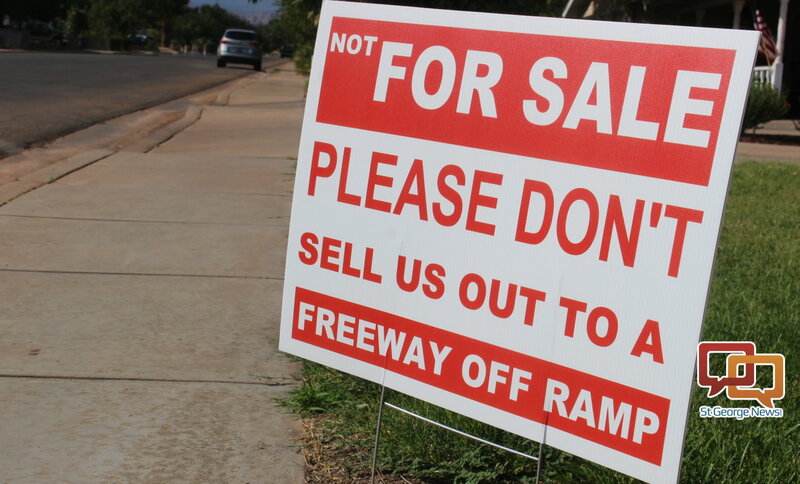 Part of Cluff’s own objections include what he called I-15’s “dark neighbors,” such as human and drug traffickers who would have easy access into a residential area. Still, he said he is happy for the opportunity to learn more about the project and offer public comment. As long as the environmental-assessment study considers many options and does not narrowly focus on a possible interchange, Cluff said he really didn’t have any issue with it. The scoping meeting held Tuesday is one of the first steps that helps jump-start the study process, said Mike Shaw, Washington City’s public works director. The purpose of the meeting is to not only help educate the public on the process the study will take, but to get as much public comment as possible to help shape the direction of it. “The public input will help (the study) be successful,” Shaw said. The controversial interchange concept has been suggested in previous studies as a way to help ease the continuing traffic issues surrounding Green Springs/Exit 10. Possible locations are at Main Street and 300 East, but neither has been well received by residents. However, Shaw said previous data is being ignored as the environmental assessment study is starting from scratch. The study will be assessing traffic needs and making recommendations based on its finding that will help shape the city’s future transportation planning for the next few decades, Shaw said. “It’s the responsibility of the City Council to look forward and see what happens in the next 20, 30 or 40 years and to plan for that as best as possible,” Washington City Councilman Troy Belliston said. For now, those conducting the study are in the initial stages of learning what directions the public would like to see taken. The study is also being overseen by the Utah Department of Transportation. “The study, at this phase, helps narrow the down potential alternatives to a transportation solution,” UDOT spokesman Kevin Kitchen said. One of those solutions could very well be an interchange, Kitchen said, but that option may not even be considered in the end. The study process is projected to finish by winter 2018. Additional opportunities for public comment at project open houses are slated for early next year, as well as next summer. While road planners and elected officials stress that no solid decisions have been made concerning a new interchange – especially this early in the process – some residents remain unconvinced. They see the initiation of the study as a sign the interchange is likely a foregone conclusion that will forever destroy the heart of Washington City if pursued. “It’s dismaying that the City Council appears to be entertaining the potential idea of an interchange,” Sanderson said, adding he also felt a measure of obfuscation and behind-the-scenes dealings have taken place. “Let’s reason together, not yell at each other and point fingers,” Washington City Mayor Ken Neilson said. It was the Dixie Metropolitan Planning Organization, also known as the Dixie MPO, that recognized the area between Exits 10 and 13 on I-15 would be negatively impacted with congestion and other traffic issues as time passes. Working with the MPO, Washington City ordered an environmental assessment study and funded it to an extent. The city needs to look forward to growth and the future, Neilson said. 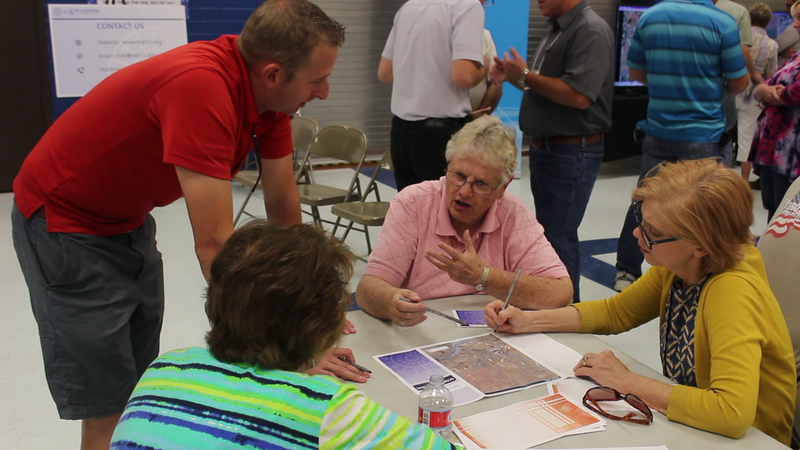 With Washington County projected to have a population of over 500,000 by 2065, the reality is today’s roads won’t be able to support that growth without some major planning ahead of time, the mayor said. “That’s what we’re planning for – reality,” Neilson said. 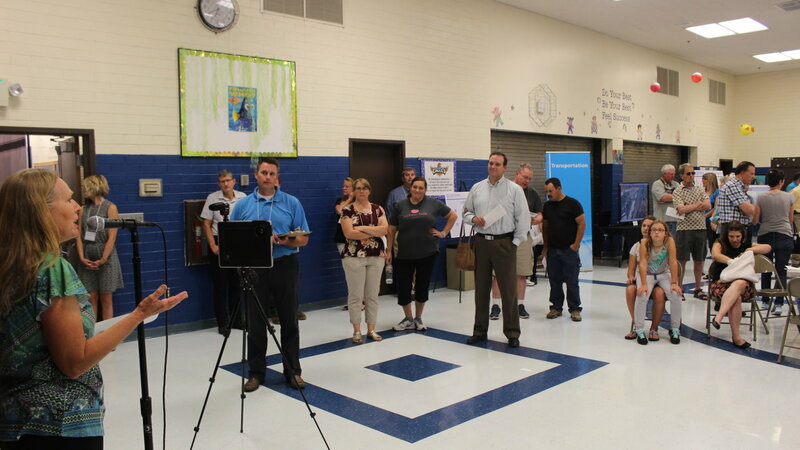 Those who were unable to offer comment at Tuesday’s open house can still do so at the project’s website: mp11.org. The website also offers material covered during the open house, as well as a previous presentation given to the City Council in July. How about just blocking off green springs drive at the lights so they cannot get through and then let the golf course planners, yes the same planners that have no trespassing signs so the tax paying citizens of Washington city and county cannot walk on the trails around the golf course so a very few can golf on it. How about letting these same planners build and finance a back way for green springs drive to connect to exit 13, maybe they could close the golf course and sell the property to pay for the road to exit 13. The golf course has been losing money since it was built, or how about putting the water park there, now there is a idea. Most of this entire problem is from Green Springs developers period, let them fix it. How about quit trying to force people out of their houses near the projected project, the money they would get for their homes will only decrease their future quality of life because it won’t add up to diddly towards a replacement home. If the folks who live along the proposed Main Street exit in Washington City really valued their neighborhood, and their property values, they would spend the time to clean up their yards from both overgrown vegetation and junk (cars, etc.). They do not have an HOA set of guidelines specifying how to maintain their properties, and are merely guided by poorly enforced city ordinances. The same can be said for the folks who live along Telegraph Street. A Main Street exit has its challenges, including figuring out how to build around the existing substation. I am sure the folks from Brio would love an adjacent freeway exit. At the end of the day, would a new freeway exit really remove much traffic from Exit 10? UDOT needs to understand what might attract drivers to a Main Street exit, from Exit 10 which is closer to the retail shopping and other businesses, that have blossomed nearby. Let’s agree, even with a brand new exit, we still need to figure out how to improve the flow through Exit 10, and adjacent intersections. So true. It looks like a junkyard over there. Ones persons junk is another persons treasure. Anyone against this proposal to relieve traffic congestion at Exit 10 just needs to observe Telegraph traffic at Nisson Park on 200 West. In the mornings, after work or just all day long, make a mental note of just how many cars are zipping back and forth at this location on Telegraph that are heading for or just came from Exit 10. If all or most of these Washington City people could use the proposed Exit 11, then Exit 10 would see a dramatic drop in traffic at that location. So I think its safe to say that one of the main reasons Exit 10 is failing is from a huge amount of traffic from Washington City drivers. 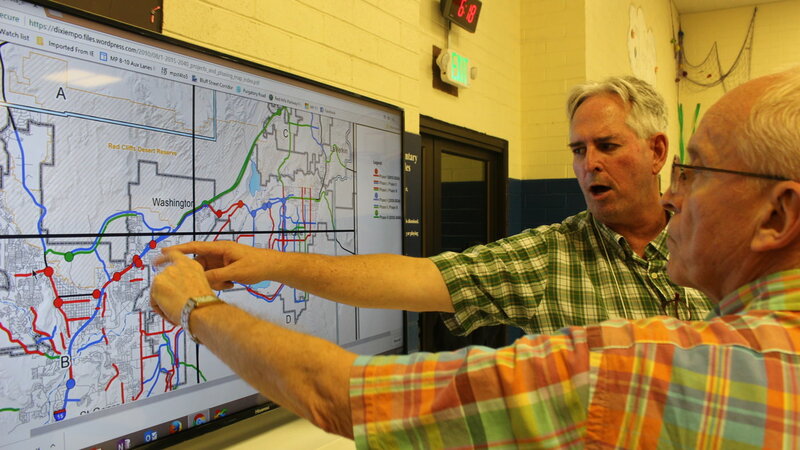 UDOT is just trying to look at solutions to help fix Exit 10. Washington residents need to bear some of that burden and responsibility since they are the biggest problem with Exit 10 congestion. Let’s face it, Washington City and St. George City Planners couldn’t plan a birthday party for a two year old. I have often wondered if any of them have ever seen an environmental impact report or even know what one consisted of. Perhaps if building was halted at the top of Green Springs which will of course add significantly to the already huge debacle that is Green Springs/ I-15, we as taxpayers would not have to address this issue. That White Elephant underpass North of the Mall has done nothing other than to add to the problem at Green Springs and Telegraph in the afternoon hours when schools are letting out for the day. Yet City Planners continue to approve both new commercial and residential projects without any regard for vehicular traffic. (i.e. Starbucks, AT&T, and The Sleep Number Store) The already deficient local roads are substandard in roadway markings, street lighting, signage, and of course a lack of smooth even roadway surfaces, not to mention inadequate turning radiuses on most major intersections. Some of intersections have a different radius on each corner. A number of streets throughout Washington County have decreasing radius off-camber turns which often times results in Roll-Over traffic accidents, and Lord knows we have plenty of them. All this coupled with misplaced commercial driveway entrances which are barely able to accommodate two vehicles at the same time. Vision obscurements and obstructions in unleveled parking lots of commercial businesses abound. This all should be embarrassing to City Officials as it was supposedly approved by “City Planners.” This gives the appearance that the Planners are bought and paid for by the Developers or perhaps they are one in the same. Either way, it’s a big desert out there. Why make Green Springs/I-15 any worse than it already has become. It would appear that we have enough to worry about without spending millions of dollars on another I-15 Interchange. Intimate Domain! New band name! I call it! !